Water Works	Outdoor space, community gathering, supportive enterprise and design innovation, and riverfront history. 2018 Construction work will result in limited closures to First Street South; access to adjacent properties and one lane of traffic will remain open at a minimum. 2018 Construction will not impact West River Parkway and the adjacent trail, but closures are anticipated in 2019. 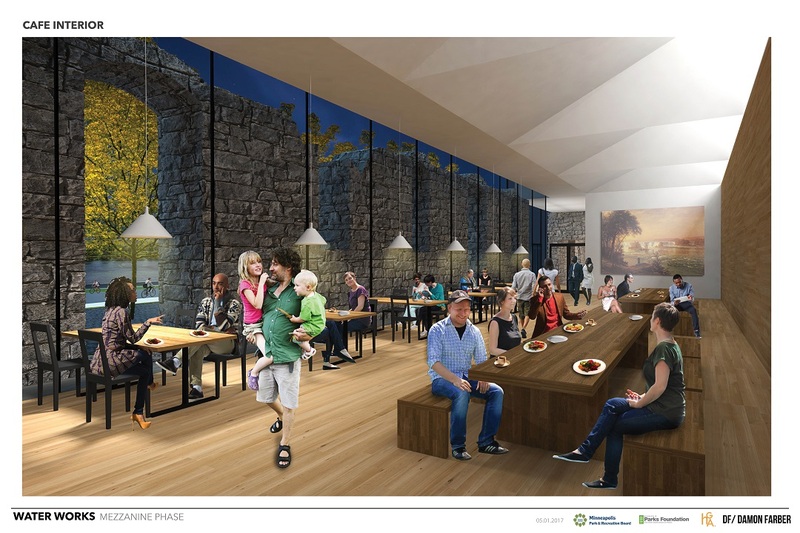 Minneapolis Park and Recreation Board (MPRB) hires design team led by Damon Farber Landscape Architects for design development and construction of the Mezzanine Phase. Construction is anticipated to begin in 2018 with an opening in 2019. May 2017 Online Survey – This online survey was open from May 2 – May 21. See the results [PDF]. May 1 and May 2, 2017 – Open Houses for the evolved concept design [PDF] Materials were presented both as a powerpoint and on boards. Narrative text has been added to this posting for use with screen readers and to help describe the information shown. See a summary of comments received on boards [PDF]. The Water Works site (formerly referred to as the Fuji-Ya site) is a part of Mill Ruins Park in downtown Minneapolis. 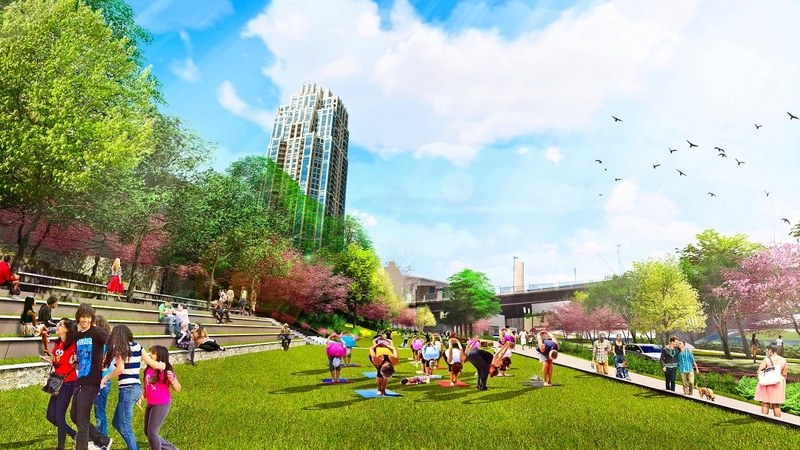 It offers an exciting park, historical interpretation, and city-building opportunity. It is adjacent to West River Parkway and overlooks St. Anthony Falls with dramatic views up and down the Mississippi River. Since we purchased the property over two decades ago to build West River Parkway, the Water Works site has been utilized for fee parking but not much more. 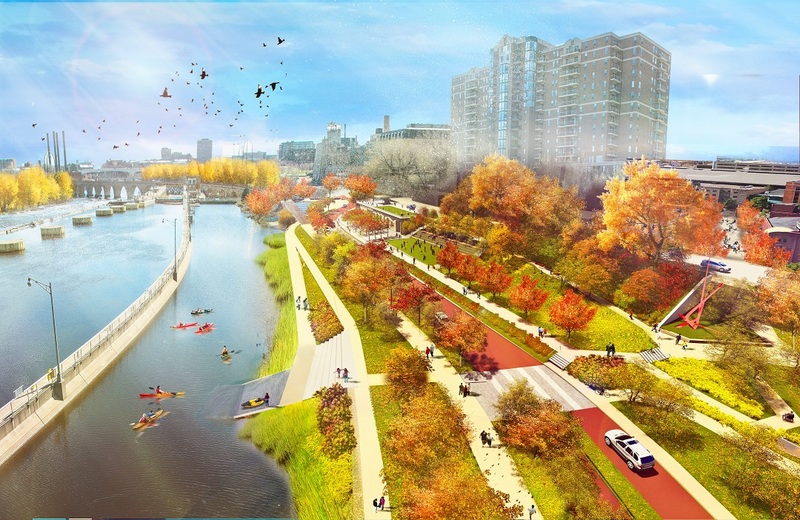 The Minneapolis Parks Foundation (MPF) embraces the idea that the Water Works site presents an opportunity to become a signature element of the Minneapolis park system. 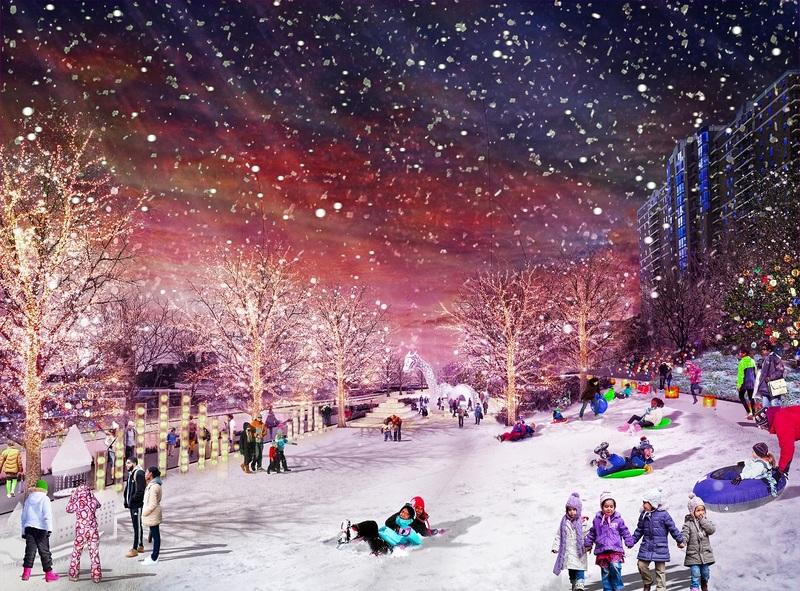 In 2011, MPF received a generous donation to conduct preliminary design visioning for potential public uses of the site. 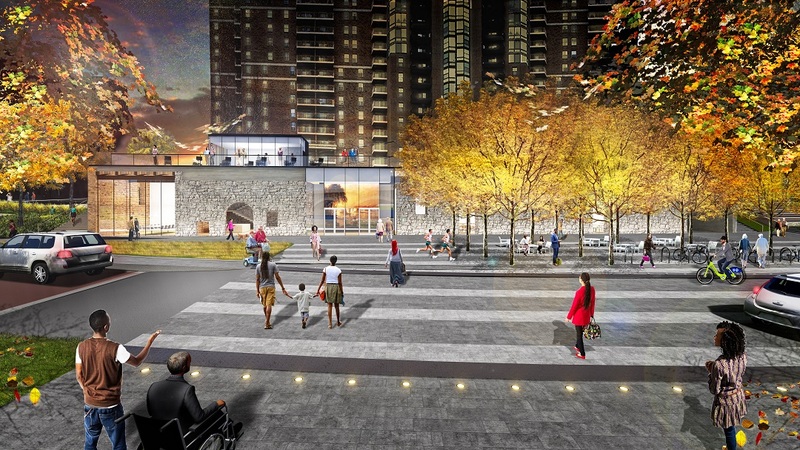 The study explored alternative futures for the Water Works site that could include combinations of outdoor space, community gathering, supportive enterprise and design innovation as well as embracing the history of the riverfront. Its primary intention was to explore multiple ideas for the site and test those ideas for implementation feasibility and community excitement. In 2013 we began our partnership with MPF, building on the 2011 site concept. 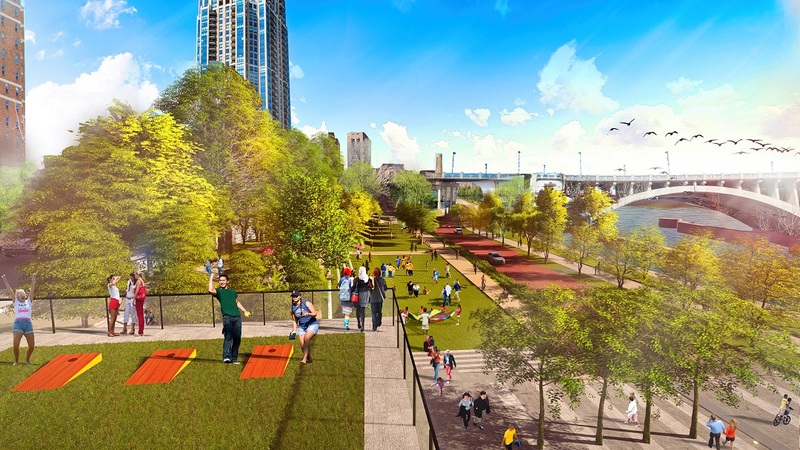 This project intersects the Central Mississippi Riverfront Regional Park Master Plan planning study currently underway. Before any European settlement of the area, the River, especially the ever-retreating falls, were spiritual destinations for Native Americans. The falls’ water power was quickly becoming a very attractive place for industry. The riverfront boomed with timber and flour mills in a matter of years. The current water works site soon held one of the many grain mills along the Minneapolis riverfront as well as a hydropower water works plant (thus the newly minted Water Works site name). The property was once home to the Fuji Ya restaurant, a beloved destination that afforded visitors a unique vantage point from which to experience the power and spirit of the river. Mill ruins still exist on the property – some exposed, some buried and some contained within the restaurant building. Besides the mills of the 19th century, the site also housed the Gatehouse, which controlled water coming into the canals and feeding the mills on the west bank. This structure is still intact, underground.